Q: What qualifies Philadelphia to be known as a World Heritage City? A: There are two requirements for this status. First, the candidate city must have within its boundaries a location that has been found by the United Nations Educational, Scientific, and Cultural Organization (UNESCO) to have “outstanding universal value”. This extremely high standard was met by Independence Hall. UNESCO accordingly designated it as a “World Heritage Site” in 1979. But Philadelphia also needed to meet a second requirement, becoming a full member of the Organization of World Heritage Cities (OWHC). This was finally accomplished last fall. Q: How did this come about? 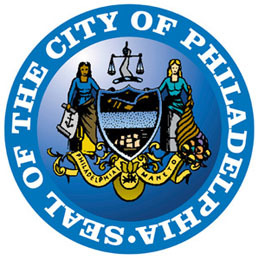 A: In 2012, the Global Philadelphia Association (GPA) brought the City’s attention to the possibility of OWHC membership. A joint venture was formed between the City and GPA, and these two bodies worked together to advocate for Philadelphia to become a full member of the OWHC. In April of 2014, the City submitted its credentials to the OWHC. Philadelphia based its claim on four attributes: its history as a colonial city founded on the principles of freedom and religious tolerance; its emergence in the 18th century as an enlightened city of freedom and popular sovereignty; its evolution in the 19th and 20th centuries from being an industrial city to a post-industrial city defined by artistic and cultural exchange, world-famous educational and medical institutions, research, and new forms of manufacturing; and being a modern city today that pioneers the re-use and re-invention of its historical and cultural assets. Q: Was that sufficient to become a member? A: Not by itself. Before the Organization would accept Philadelphia as a full member, a by-law amendment was required so that Philadelphia’s World Heritage Site, Independence Hall - constituting a single building, but of course signifying so much more in terms of history - would qualify the City for membership. This change took place at a World Congress of the OWHC held in Arequipa, Peru in November of 2015. Philadelphia became a full member immediately afterwards. Q: Is this anything more than marketing? What is really going to change as a result of Philadelphia becoming a World Heritage City? A: It places an important priority on preserving our historical and cultural assets. We also anticipate that it will increase tourism to the region. There is also a strategic plan in progress to explore other ways we can maximize this designation. Q: What is contained in the strategic plan? A: While it is not yet finished, we can say that a number of initiatives will be contained in the plan. 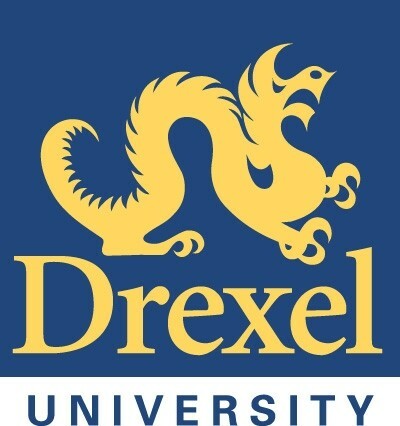 First, because they are truly extraordinary, and because their presence in Philadelphia and the surrounding region made our new status possible, our historical and cultural assets will need to be appreciated and preserved. The plan imagines that we will seek out resources to inventory them and develop a region-wide strategy for preserving them. This will not be easy or cost-free and it will take a lot of work. We hope to help the organizations that are in the field to find those resources. Second, Philadelphia is a city of many neighborhoods and communities. We view our World Heritage City as a ‘city of the world’s heritages’. One of our goals therefore is to reach out to every community and say that your heritage is not only important but is part of the mosaic that makes Philadelphia worthy. If we do this right, there will be many benefits, including neighborhood recognition and pride, the possibility of intra-city tourism, and a chance to link our ethnic neighborhoods with brother and sister World Heritage Cities around the globe. Third, our World Heritage City status will give an impetus for change in our schools, whether they are in the Philadelphia School District, one of the charter schools, or part of the parochial system. Wherever they are, our students need to be better aware of their history and that of the City, they need to understand geography and foreign languages besides their own, and they need to be prepared for the globalized future that inexorably waits for them. Fourth, being a World Heritage City gives us a chance to market ourselves to a world full of prospective tourists, convention planners, international students, business people and investors. An analysis that has been performed by Econsult Solutions tells us that if we tell Philadelphia’s story well, both overseas and here, there could be as much as $150,000,000 in additional tourist revenue each year. This would have a very positive effect on our economy and lead to many new jobs in the hospitality industry. Fifth, we are now in a unique relationship with over 260 of the world’s most prominent cities. By developing those relationships, relationships that are full of opportunities ranging from trade missions to international cultural exchanges, we can infuse both the business community and the cultural community with new energy and possibilities. There are many other particular opportunities that will be identified in the plan when it is released. Q: How are you going to make all of these things happen? A: Our plans are ambitious, but we recognize our project team has limited resources. With these resources, we will be able to launch a few pilot projects, as well as shepherd and oversee the implementation of the overall plan. However, we are determined to bring into the planning process those organizations and businesses that had the greatest stake in seeing something happen. These stakeholders became the architects of the plan, and the actions are what they have recommended. Our stakeholders are already invested in its success. Moreover, most of the actions envisaged in the plan will be aligned with their existing missions. We will not be asking very many of them to be doing something new. Q: How will you measure success? A: We are working to develop a series of metrics by which progress can be monitored. An implementation group consisting of City officials and GPA representatives will provide guidance and direction toward that end. Q: Will the project team continue to operate? A: Yes. We’re still in the process of raising funds to make this happen. Fortunately, we have had support from several of the region’s most important foundations, as well as a number of businesses and major institutions. A number of fundraising strategies are being pursued. Among other things, there will be a major fundraising dinner on the evening of September 8, 2016. On that occasion, Chris Matthews, Host of MSNBC’s “Hardball with Chris Matthews” will be the headliner; Denis Ricard, the Secretary General of the OWHC, will be an honored guest; and both U. S. Senator Robert P. Casey and Mayor Jim Kenney will be honorary co-chairs. For opportunities to sponsor the event or buy a table, please contact [email protected] . Over time, we are hopeful that the benefits of the project will become increasingly evident to the community and that the needed funds will be forthcoming as a result. Q: What is Philadelphia World Heritage City Day? A: Back in November, Philadelphia became a World Heritage City, the first one in the United States of America. Today, we are marking our new status and announcing a plan to make use of it for the benefit of all Philadelphians.